The team at Charles Medley Distillery are releasing a very special and rare Bourbon in January of 2017 to honor the man behind the name of the company. 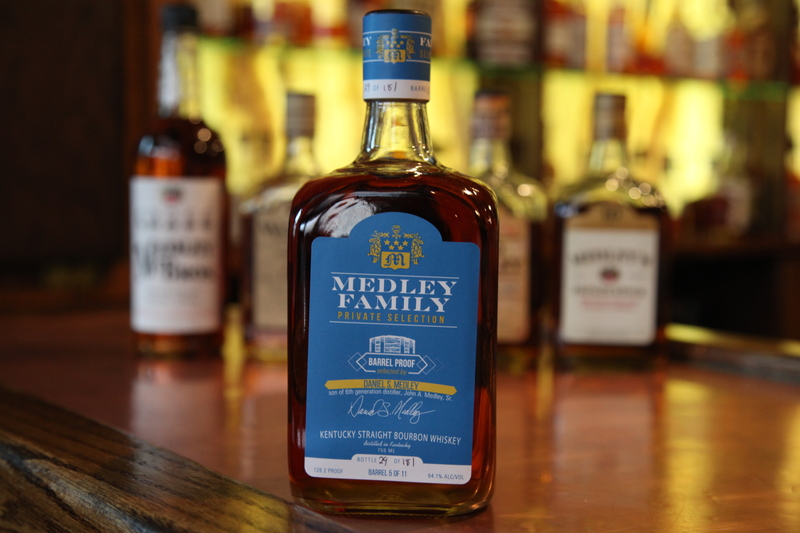 The Medley Family Private Selection is the name of this barrel-proof Bourbon, and will probably not sit on shelves for long. The Medley name has been around Bourbon since at least the early 1800’s, and several current members had a hand in making this project come to fruition. Charles Medley currently runs the Charles Medley Distillery company with his son Sam Medley. Charles was the last Master Distiller for the Medley Distilling Company that operated out of Owensboro, KY. Members of the Medley family originally purchased the distillery in 1937, which was previously known as the Green River Distillery. The family owned the distillery until 1958, but the name remained the same, and members of the family were still involved in the production, including Charles who started his career in the 1970’s. Like many distilleries in Kentucky, the Medley Distilling Company stopped production in the early 1990’s. Charles had the opportunity to buy back the land and what was left of the distillery in the mid-1990s. He sold that property to a company in 2007 with hopes of seeing the site produce Bourbon again. It never happened under that ownership, but the site was purchased again by another group which is now producing Bourbon again. Charles was also able to repurchase the rights to his name. Even though the Medley family wasn’t involved in producing Bourbon in the 1990’s, Charles and Sam started sourcing Bourbon from other distilleries and released the Wathen’s Bourbon brand in 1996. The brand has built a strong following during its 20-plus year existence. Sam wanted to honor his dad on his 75th birthday this past September and was thinking about ways to do that with a special Bourbon release. He hatched out the exact plan during a meeting with Bill Thomas, who owns the Jack Rose Dining Saloon in Washington, D.C. The two came up a plan to not only do a barrel-proof bottling of special barrels of Bourbon, which are under their control, but to get other members of the Medley family to select which ones. Sam hatched the first part of this plan during a family reunion in June of last year. He would sneak around and give samples from different barrels to family members to taste so they could pick which barrels they thought were the best. Only 11 barrels were used for the Medley Family Private Selection. Members of the Medley family got first dibs on this release, with the ones who were lucky enough to be a part of barrel selection process receiving the first three hand-labeled bottles from the barrel they selected. They were also honored with their name being presented on the label. Sam says he has already been flooded with requests from family members for more bottles of this release, but he says at this point he can’t help them. Kentucky got the most allocation of the 268 cases (six bottles to a case) that were released, with the city of Owensboro getting the most. Some retailers in New York, Chicago, and the California markets will also receive some cases. A few will also be going to Georgia, Nashville, North Carolina and Washington, D.C., so other members of the family have the opportunity to purchase them. This release has a $80 MSRP.